Bonnie created a very elegant card that is simple and quick to make for any occasion. She used the Memory Box die Fairytale Border, embossing folders, border punch, mini pearls, and paper to create this card. This card is perfect for a sympathy, thank you, or any occasion card by simply changing the color of the paper used to fit the event. Thank you so much, Bonnie for sharing your design skills with us! She repurposed a Dreamweaver Valentine Template - LL425 - by using the flowers only. She worked with Secret Garden papers to create this special card and added some crocheted ribbon as a border accent. Very sweet and perfect for any occasion! All items are available for purchase at Checkered Cottage. 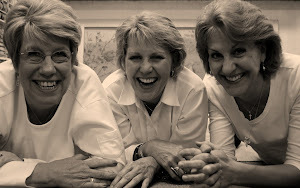 A new twist with a different flare is how we describe Janet's cards. She is newer to the card making scene but is having a lot of fun like Nancy from last week. Janet has used the Memory Box Heart Die for her pocket on the front of the card, which holds a little note card. She worked with punches, BoBunny papers,and a touch of ribbon to complete her card. 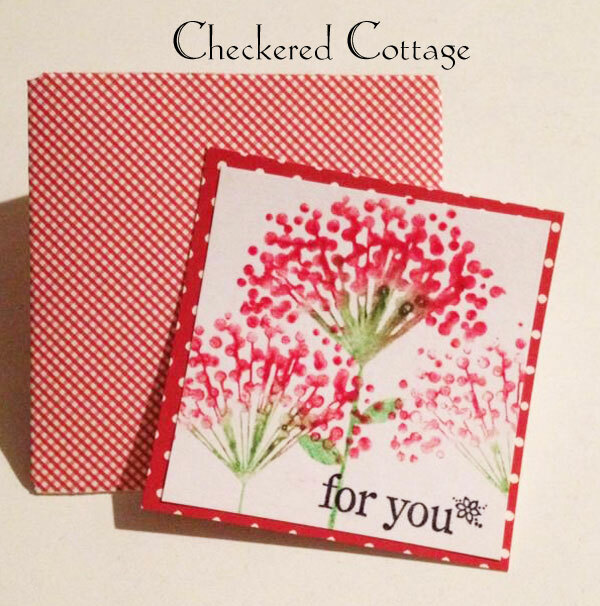 This card is on display at the Checkered Cottage in our customer profile section. This weeks customer profile is from Nancy. She has created a fun Mother's Day Card using Lasting Impressions Template L9748 Dahlia flower and assorted papers from BoBunny and American Crafts to create this layered card. Thank you Nancy for sharing your latest creation. Lynn created a fun Birthday card using Karen Lockhart's Geranium stamp, embossing folders, and colored pencils to create this uniquely shaped card. She added a little twine with a tag stamped with Happy Birthday on it to complete her card. One of our customers, Linda S., made a gorgeous card using the tulip Memory Box Die, Embossing folder, stamp, and a special die. We wanted to share her unique idea with our customers - hence the start of our new customer profile on our blog. She cut and layered paper to create her card. When put together she put it through the embossing folder and then colored the edges before adhering to her card base. Are you ready for Spring??? Stop by the cottage this weekend to celebrate the early signs of the season. We have an inspiring array of cards on display that will get your creative juices flowing. 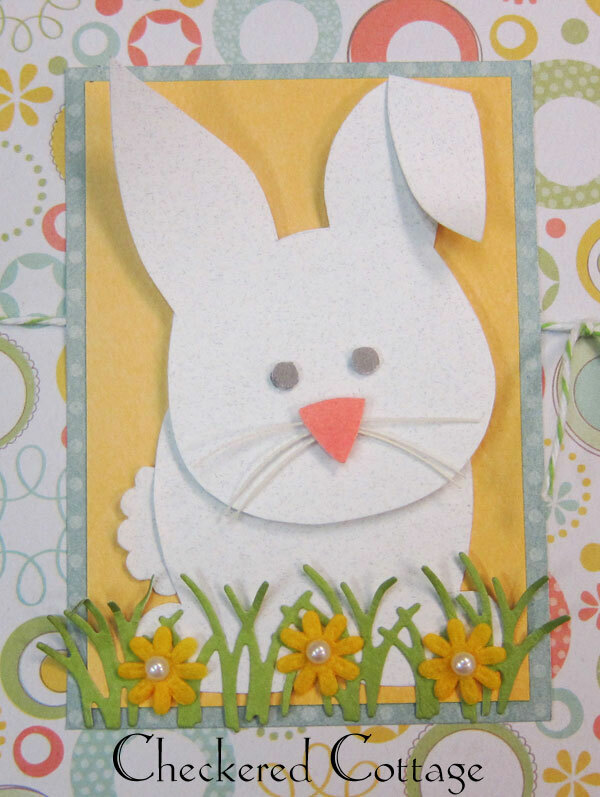 You have to see Linda's Bella Bunny card, which features the We R Memory Keepers Spring line of paper, the Impression Obsession grass die, and fun new felt ribbon by Ampelco. This darling pattern is available for purchase ($1.99), which includes a line drawing to make the cute bunny on the front of this card. Also, on Saturday from 10:30-12:30 (while supplies last), Jan will be teaching a free Make and Take. She will be demonstrating coloring techniques using gelato inks, as well as the Envelope Punch Board from We R Memory Keepers. We think this envelope product is the best on the market!